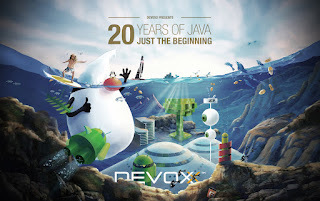 Devoxx 2015 wrapped up a few weeks ago, but the video content they put together for each and every session is becoming available online via YouTube for the first time this year. Kris Verlaenen presented a full hour session on the features, including several demonstrations, that will be coming in the next product release of JBoss BPM Suite 6.2. What he demonstrates are a few example projects that leverage the current community project jBPM and are well worth the time to explore hands on with Kris in this BPM hour of power. As he states in his report, "In the demo, I built out a small expenses process, and a custom screen (using AngularJS) that can list my current expenses and create new ones just the way I want to. You can even add some small dashboards to keep track of the number of open expense reports or a quick overview of how many expense reports you submitted in the last year and when. I also showed how to support more flexible and adaptive cases, where you want to give the end user the capability to make decisions or to dynamically add new tasks (all the way to the extreme where you don't define anything upfront but start a new ad-hoc case)." The full report from Kris himself can be found over on his site Processes, Rules and Events.